Nell’s Spring Ball sold out! 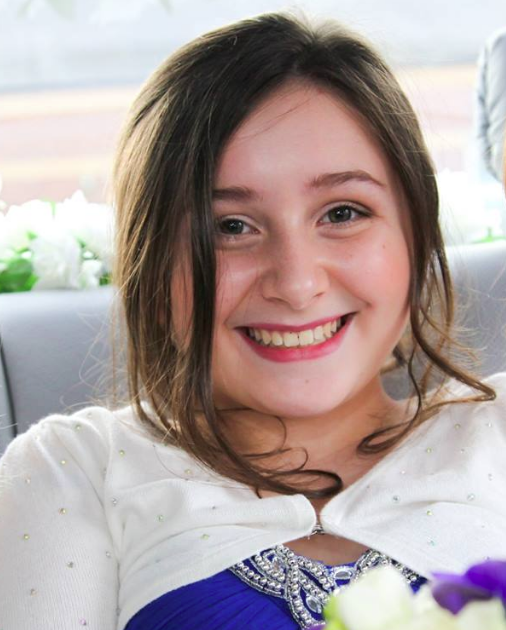 The Remembering Nell Foundation hopes to create a lasting memory to Nell Jones; a legacy in which her love, kindness and spirit can continue to help others. 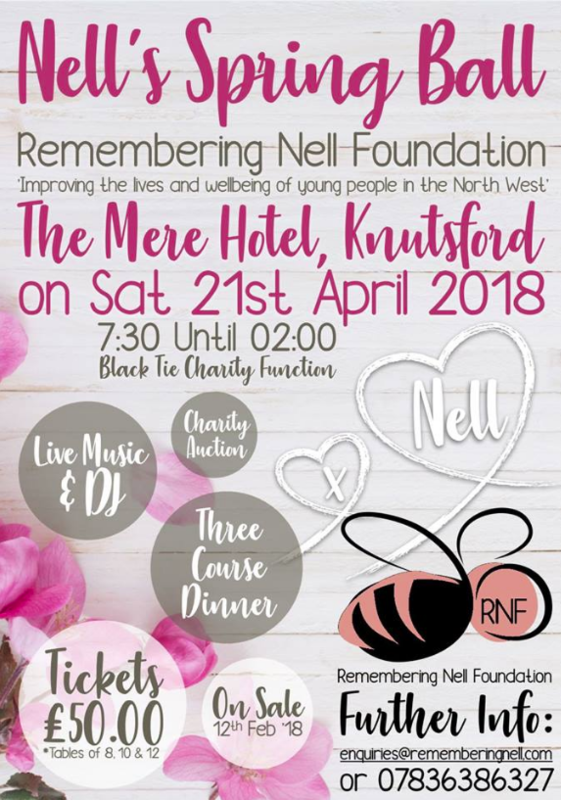 The charity launches on Sat 21st April 2018 with a Black Tie event at The Mere Hotel, Knutsford. – Provide recreational and leisure time activities, in the interests of social welfare, for young people living in the North West of England, who have specific needs by reason of their age, infirmity or disability, poverty or social and economic circumstances, with a view to improving the conditions of their lives. – Improve the life chances of young people by developing their skills, capacities and capabilities to enable them to participate in society as independent, mature and responsible individuals. – Support children and young people’s mental health and wellbeing by supporting change so that children and young people can cope with life’s adversities, find help when needed and to succeed in life. – Support young people who are struggling with bad housing or homelessness through physical, psychological or financial support and advice, with a view to improving the conditions of their lives. “Nell Jones was tragically taken from us in the Manchester Arena attack on the 22nd May 2017. Our Nell was just lovely. She was kind, caring, loving and clever. She was a great friend and always put others before herself. She hated to see people upset and would go out of her way to make others feel welcome with her famous smile. She loved her friends, shopping, clothes, make up, meeting new people and trying new things. Nell meant the world to us and we loved her with all of our hearts. We were blessed to have had her in our lives for 14 wonderful years.” The Remembering Nell Foundation.